The F Series supports writing up to AVC-Intra Class 200 of the AVC-ULTRA family as well as the currently available codecs with the existing P2 devices. 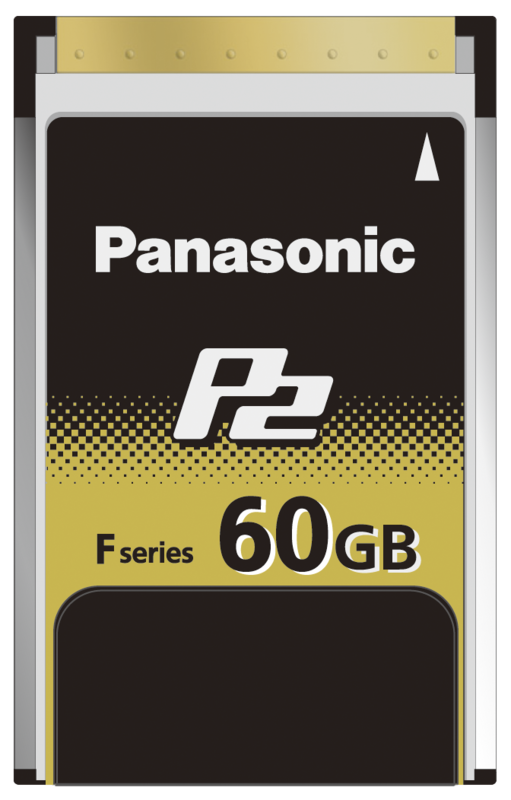 This P2 card offers up to 60Gb of storage capacity. A single P2 card can record up to 60 minutes with the DVCPRO HD or AVC-Intra 100 codec or up to 120 minutes with the AVC-Intra 50 codec. This large capacity provides sufficient recording time even for a handheld camera recorder or portable recorder with two card slots. With an updated generation of internal flash memory on this P2 card, it ensures that high file transfer speeds and secure data transfer are maintained. This memory card is also impact, vibration and temperature resistant to ensure reliability and uninterrupted recording. To find out more about this product, please click the contact us button below.